FINALLY! Spring is here! The days are getting longer, the temps are starting to rise and the foods on the shelves are starting to change with the new season. Here’s a delicious soup I’ve put together that is perfect for this time of year. 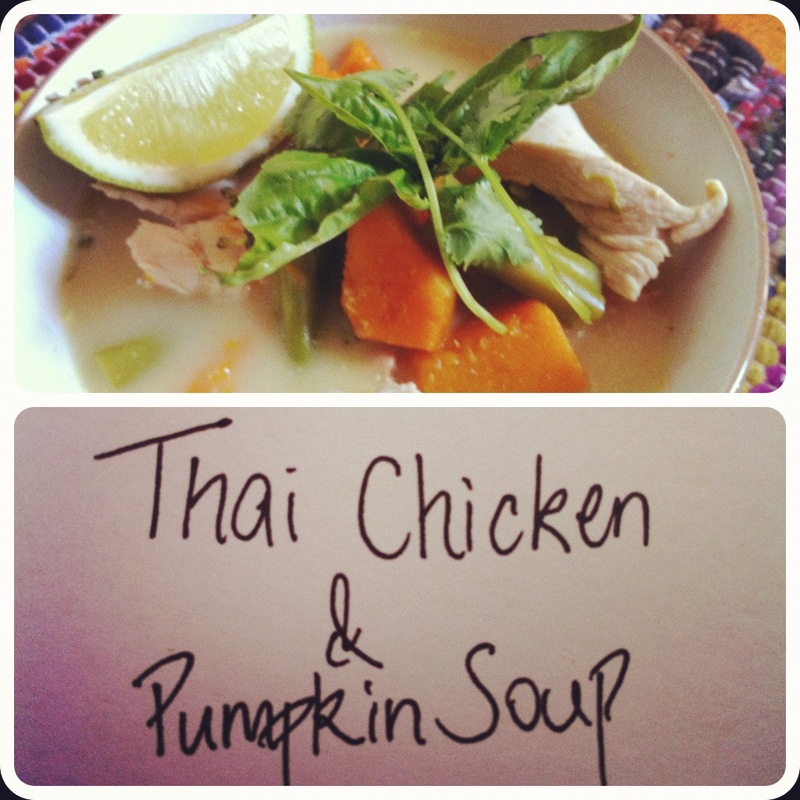 Beautiful fresh flavours and a little lighter on the tummy than your typical heavy winter soups. Enjoy! Cut pumpkin into cubes and steam until tender. Meanwhile, bring saucepan to a medium heat. Add curry paste and fry for approx 30 seconds. Add 2 tbsp of the coconut cream and continue to stir. Add stock and bring to a simmer. Add onion, garlic, lemongrass, chilli, ginger and remaining coconut milk. Simmer for 5 mins until onion is translucent. add salt and pepper to taste. Either add the steamed pumpkin to the saucepan and blend with a stick blender OR place ingredients from the saucepan + the pumpkin into a blender until all ingredients are combined. Have you visited my Website Wholesome-Living ?